I can't believe Bob's Year of 37 Envelopes is over. In case you missed it, here are the link ups for each month. 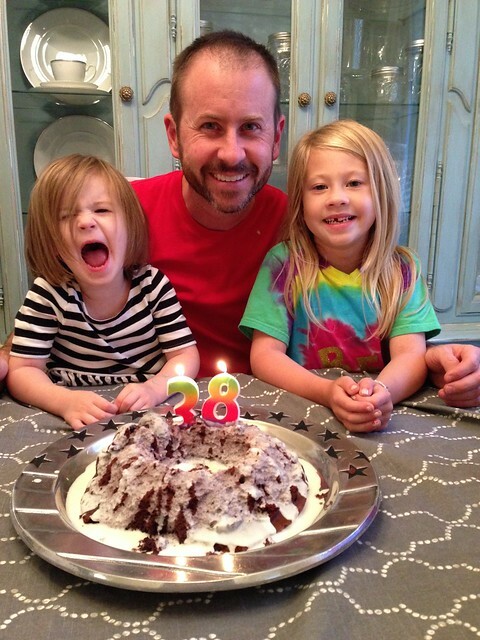 and then that brings us back to this October 4th when Bob turned 38! 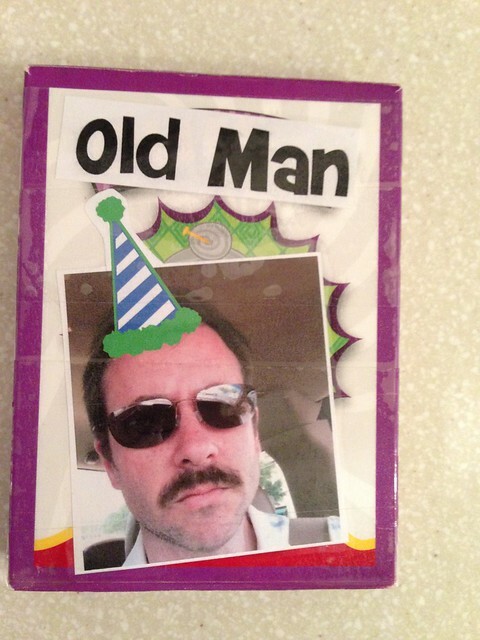 I was given a strict zero dollar budget for Bob's birthday this year. 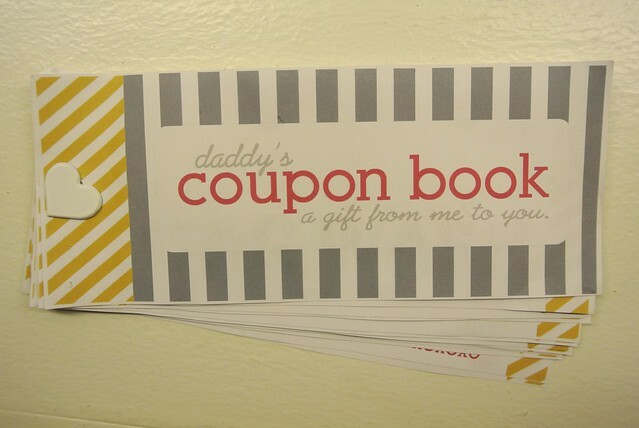 Nothing says free like a good ole' dad coupon book. The girls loved helping me come up with coupon ideas. Lots of "do artwork with Ella and McKenna" and "play with the girls" coupons. The girls ask Bob to play rough house probably every single night. It's basically him just throwing them on the bed and pillow fighting. 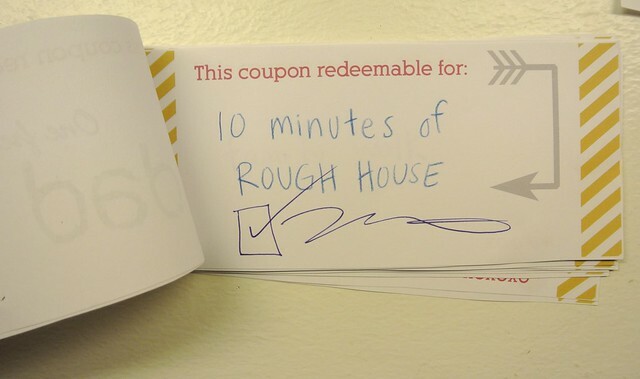 They love it so much and made him cash in this coupon immediately. Playing card games has become one of our favorite family things lately. The girls are hilarious and get so into the game. 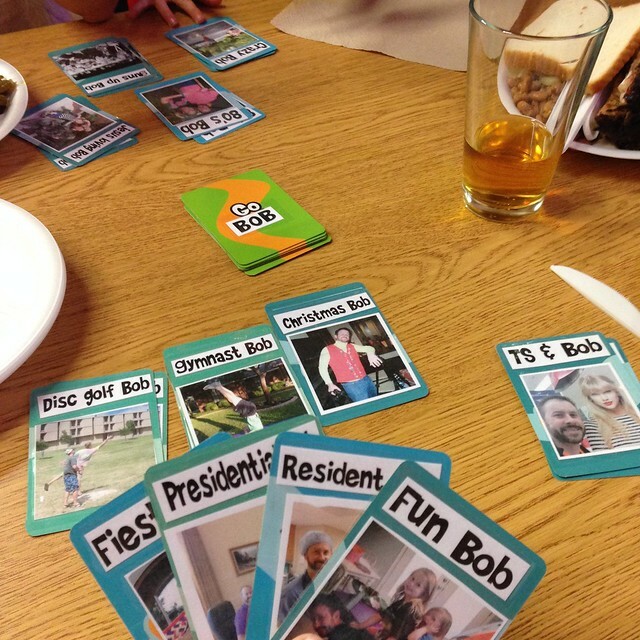 Go Fish, Old Maid and Sneaky Snacky Squirrel are our favorites. I decided to take some of the decks we already owned and put a little birthday twist on them. I had too much fun with this and couldn't wait to play! 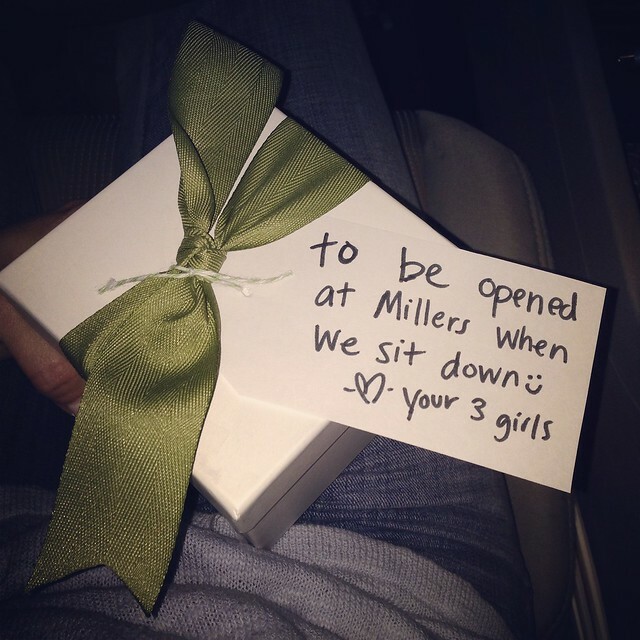 We wrapped them up in a box and told Bob he couldn't open them until we sat down to dinner. 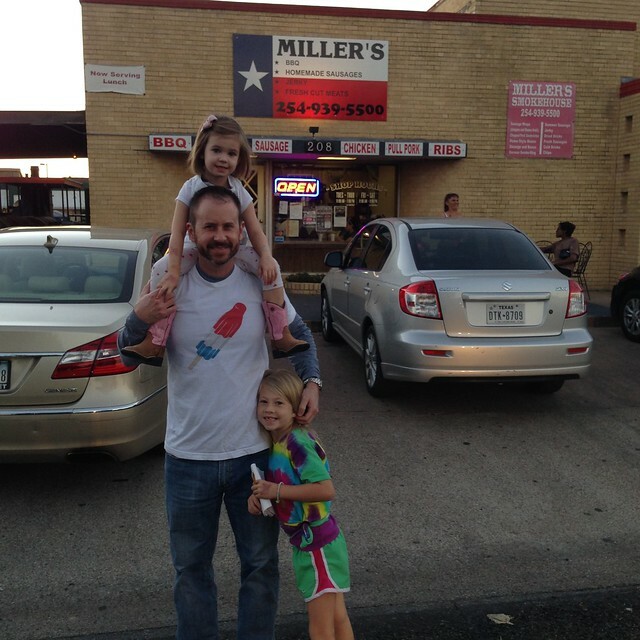 Andy and Jackie met us for dinner at Bob's favorite BBQ place. 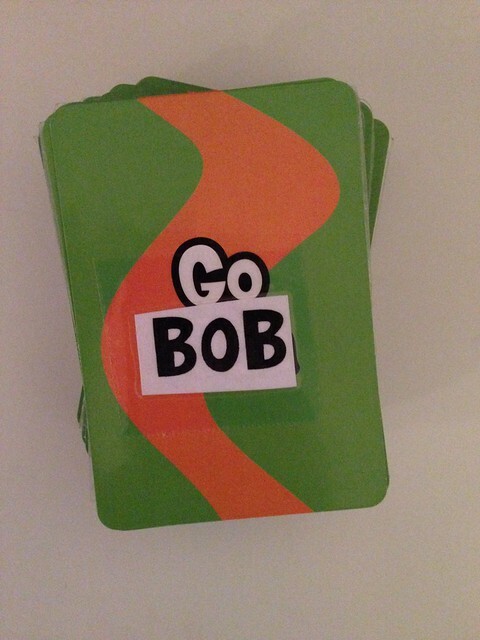 Instead of Go Fish I changed it to Go BOB! So every time you told someone to Go Fish, you had to say GO BOB! (in your best cheerleader voice of course) It was so much fun! I made all the cards different Bob characters. I think Banana Bob is my most favorite. It was a random picture from way back in Medical School. It was a halloween party and Bob, Jeff, Kristen and I all dressed like a bunch of bananas and tiny baby Avery was a monkey. Somehow in the night Banana Bob ended up in a workout room for that pic. 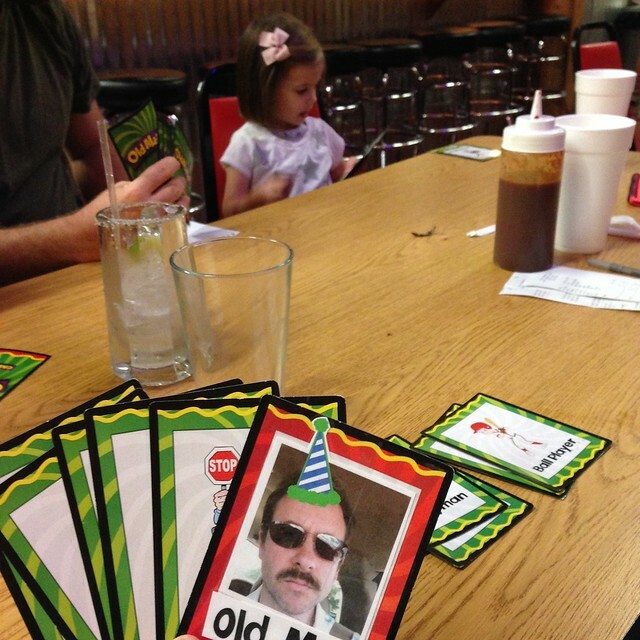 Then I took Old Maid and changed it to creepy Old Man. I am laughing so hard! Bald Bob is HYSTERICAL for some reason! You are SO much fun & McKenna saying 38 is just precious. That is the best idea and so fun! You are a great cook but it looks like my cooking skills slipped in there. Love you! !